Submissions are to be moving-image, computer-generated new media art that is representative of the experimental, critical and interrogative nature of this burgeoning medium. Sound and physical materials will not be supported at the installation. A submission fee of $10 must be paid for the applicant to be considered. You may submit more than one work but the submission fee will apply each time. The winner of the Award will be announced at the beginning of the screening. They will also receive a cash prize of $415 (no need to be present to accept the award). The Award Exhibition will take place Friday, May 17th at 9:06 PM following Andrew Benson’s site-specific projections in the courtyard of the Phoenix Hotel during the ArtSlant Afterparty at ArtPadSF. Top submissions to the Award contest will be projected onto the wall adjacent to the Phoenix Hotel (shown above) and viewable in virtual exhibition on ArtSlant.com following the installation. 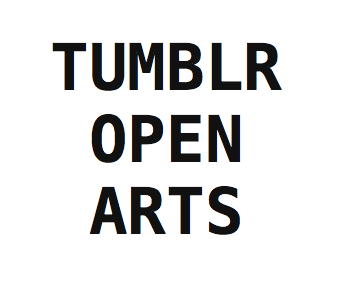 We will also be putting top submissions throughout the submission period on our tumblr. An error 415 is the HTTP response status code for an unsupported media type; the award refers to new media practices which have yet to be fully supported by the art establishment. We are proud to present the first iteration of this award in the tech-savvy Bay Area. Anthony Antonellis --> is a visual artist, educator and administrator of netartnet.net. He is known primarily for his work online, but his practice is not limited to virtual space. His process copy-pastes between analog and digital states, exploring the simultaneity of real and virtual objects. His recent works have experimented in short animation, installations, painting, and internet based art. Antonellis studied at Savannah College of Art and Design, BFA in painting, and Bauhaus-University Weimar, MFA in new artistic strategies. Nick Briz --> is a new­media artist, educator and organizer based in Chicago IL. His work has been shown internationally at festivals and institutions, including the FILE Media Arts Festival (Rio de Janeiro, BR); Miami Art Basel; the Images Festival (Toronto, CA) and the Museum of Moving Image (NYC). He has lectured and organized events at numerous institutions including STEIM (Amsterdam, NL), the Museum of Contemporary Art Chicago, Marwen Foundation and the School of the Art Institute of Chicago. His work is distributed through Video Out Distribution (Vancouver, CA) as well as openly and freely on the web. Manuel Fernández --> is founder and curator of Domain Gallery a web based gallery focused on digital and internet based works. His works have been featured in multiple outlets, including spanish newspaper El País, trend magazine Notodo, Triangulation Blog and Minus Space Blog, New York, among others. Daniel Rehn and Sarah Caluag (me+Sarah) --> are collaborative artist-researchers who have most recently exhibited at MOCA (Los Angeles), Ars Electronica (Linz, Austria), and Electric Picnic (Stradbally, Ireland). Their work can also be viewed at Z/Z/Z/, an online database for animation/cinema/game-based visualizations. They frequently curate together, including exhibitions at ANI GIF (an online gallery that they co-founded) and the upcoming LA Game Space (where Rehn is Executive Director and Caluag is Creative Director). Annie Werner is the Arts Evangelist at Tumblr, where she works to build and engage the arts community both online and off. In the 2 and half years she's worked there, she has lead projects such as Moving The Still: A GIF Festival during Art Basel Miami and The World's First Tumblr Art Symposium with Hyperallergic. She edits Tumblr Open Arts (tumblropenarts.tumblr.com) where you can find the latest from artists and art happenings on the platform. Annie studied New Media and Public Discourse in Gallatin at NYU. She was born and raised in Texas.